"We plan to get in on the ground floor in conversion to canalboats," said Ryder Inc. spokesperson John Tanken. "Escalating fuel prices have hit our industry hard. Not to mention, we're having trouble attracting younger drivers to our team. We think kids today will get excited about the chance to pilot a canal boat--compared to an eighteen-wheeler, it's something new and different." Ryder operates the nation's largest fleet of trucks. At one time, America supported 4,000 miles of canals. 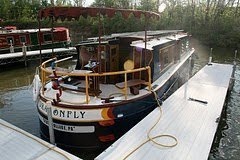 Today, the few canals still open, such as the New York State Canal system, are used mostly by recreational vessels. "The infrastructure is still in great shape, though," said New York transportation engineer Pieter Gracht. "We're ready for the big barges." Though the president's policy is aimed at supporting commerce, the decision to expand the nation's network of canals could have significant economic consequences for the travel and recreation industry too. Since 1960, for example, England has restored and reopened more than a dozen canals--thousands of miles of waterway--responding to fierce demand from the nation's tens of thousands narrowboat enthusiasts. "We have traffic jams at the locks on weekends," says Rowan Schiff, Chief Locktender for the Avon District. "We can't build new canals fast enough." Other European nations see similar trends. Each year in France more than a million people take recreational canal boat trips. A 2005 study by the European Canal Association reported canal-based recreation pumped 2 billion euros into the Netherlands alone. "In Germany, canal boats are far more popular than bass boats," says travel and leisure analyst Miles Schnell. "It's the wave of the future." Similar demand for the charming and energy-efficient if slow-moving boats is developing here in America. "I'm not sure what's behind the sudden spike in interest," says Steve Ferrous, President and CEO of Bummelstreik Marine in Norfolk, VA, one of America's few remaining boatyards still building steel-hulled fishing boats. "Just this past year we've gotten inquiries from Ontario, Michigan, Tennessee, Alabama, Florida . . . all over eastern North America, really. People calling out of the blue, asking if we can make them build an old-fashioned canal boat. With so much demand, we're definitely going to jump on this trend." Meanwhile, in eastern states where old canals lie neglected, local governments are gearing up for the new economy. "We're making the Lehigh and Schuykill Navigation Systems a priority," says PennDOT spokesperson Rusty Span. "By diverting traffic from interstates to waterways, we reduce the stress on roads and bridges and economize on infrastructure repair. And with gasoline so expensive, boaters and fishermen are screaming for an economical way to get out on the water. It's a win-win proposition." 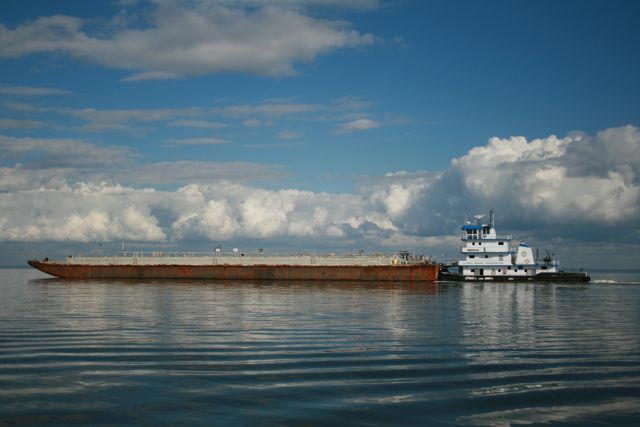 Brucke says Pennsylvania's canal system should be ready for commercial traffic by April 1, 2012.